Encephalartos altensteinii is a very ornamental garden plant and probably the most common of all the cycads in cultivation. This species is long-lived, is easy to grow and in time develops into large specimens. Encephalartos altensteinii develops into a medium to large plant producing initially a single erect trunk. 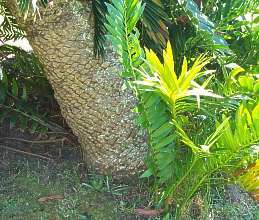 Some plants will produce suckers at the base of the trunk which in time develop to a height of 4-5 m with a stem diameter of 0.35-0.4 m. Cycads are evergreen; the young leaves are light green and, grown in the shade, will develop to a length of 2-3 m. In full sun the leaves are shorter. A flush of new leaves is produced in the spring but not necessarily every year. 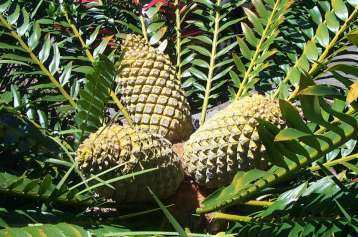 All cycads are long-lived and, to reproduce, male and female plants need to produce cones at the same time, so that pollen can be transferred to the female cone. The species varies somewhat and is closely related to E. natalensis and E. lebomboensis. The genus Encephalartos has been placed on the list of threatened species by the Convention on International Trade in Endangered Species of Flora and Fauna (CITES) and is listed in appendix 1. 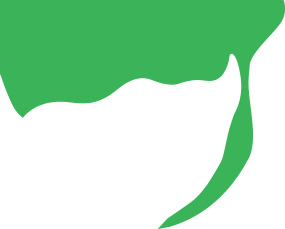 This prohibits the export of any specimen without the relevant export permit from the country of origin as well as an import permit from the country of destination. According to the Red List of South African Plants, Encephalartos altensteinii is assessed as Vulnerable (VU). The wild population has declined by between 30 and 50% in the past 100 years. The remaining wild population is estimated to be in the region of 10 000 mature individuals. The removal of large numbers of mature plants to gardens is the major cause of this decline. Habitat loss due to the development of coastal resorts and harvesting for traditional medicine is also contributing to the decline. Encephalartos altensteinii is widely distributed in the coastal bush from the Bushman's River in the south-eastern Cape to the southern border of Kwazulu-Natal. It also occurs inland at Komga, Kei Road and King William's Town on rocky hillsides and exposed escarpments. Summer conditions are warm to hot and cool in the winter with rarely any frost occurring. E. altensteinii responds well to cultivation and can be grown in full sun or light shade. This species tolerates light frost. In its natural habitat, this species enjoys rainfall ranging from 800 to 1000 mm, indicating that regular summer watering will be beneficial. This species was named by Lehmann in 1834 after Baron von Stein zum Altenstein, a statesman at the court of Prussian King Fredrick William III. This is probably one of the most common of all Encephalartos species in cultivation, of the approximate 65 species in the genus which occur in Africa. Encephalartos altensteinii, like all other species in the genus, is pollinated by insects. The Knysna Loerie and Trumpeter Hornbill are attracted to the disintegrating cones which expose the bright red seeds which are consumed by the birds. The fleshy layer is digested, the hard seed regurgitated, and in this way it is dispersed. Carl Thunberg, a well known early traveller in South Africa, collected the first cycad which is known today as Encephalartos longifolius. Cycads were known as the bread tree, as the local people would remove the pith from the stem, bury it in the earth to rot, then knead it, make it into a cake and bake it in the embers of a fire. The greatest use of E. altensteinii today is in horticulture where it is used extensively in gardens and as a container plant when young. It is very ornamental. This species is well known as it is easy to grow and adapts to most conditions, provided it has a well-drained growing medium and is not subject to severe frost. Adapts well to full sun or light shade. Because of the eventual size, Encephalartos altensteinii is best suited to large gardens where it can be displayed as a feature plant. When young they can be grown as container plants. This species transplants easily as a mature plant although it is recommended to remove all of the leaves before doing so, as this makes handling a great deal easier and, most important of all, the plant will recover sooner as less moisture is lost. Good drainage, regular watering and feeding in early summer will help to maintain a healthy plant. Irrigation systems can be detrimental to cycads, damaging the leaves and stems from the pressure of the water, as well as over-watering. Giddy, C. 1974. Cycads of South Africa.Struik, Cape Town. Goode, D. 1989. Cycads of Africa. Struik, Cape Town. Goode, D. 2001. Cycads of Africa. D& E Cycads of Africa, Gallo Manor. Jones, D.I. 1993. Cycads of the World. National Library of Australia, Sydney.